Home Ministry Leaders SG Movement/History Where Is the Small Group Movement Today? 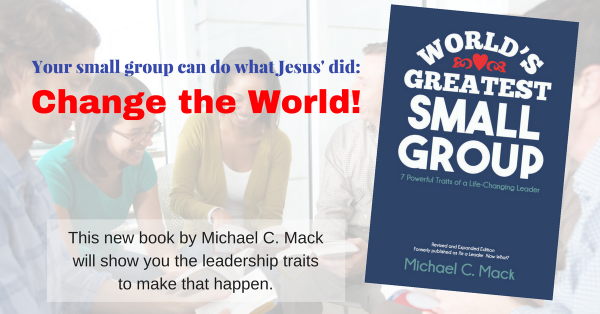 Lately I have been studying the beginnings of the small group movement in order to better understand what we can learn today. Last week I spoke to +Ralph Neighbour, and he gave me some incredible insights. LEVEL 1: Emergence. This is where the movement begins, of course, with pioneers who are often, I believe, creative geniuses who have a radical passion. They are, as Ralph Neighbour shared with me, on-fire, desperate rascals willing to attack the status quo. LEVEL 2: Coalescence/Synthesis. At this stage leaders (or managers) seek to organize all the chaos of the founders. Neighbour told me that at this stage the tendency may be to freeze the fire of the founders. I believe this is also the time when the goals of the founders are apt to change. Lyman Coleman recently shared with me about how the organizers of the church growth movement changed the purpose of small groups from reaching people outside the doors of the church to being a means for closing the back door of the church. In other words the main audience moved from outsiders to insiders. In an article on “The Stages of Social Movements,” the Boundless.com website reports, “One of the difficulties in studying social movements is that movement success is often ill-defined because the goals of a movement can change.” This seems to be true of the small groups movement. LEVEL 3: Bureaucratism. At this stage, systems are set in place that help the movement fit into conventional lifestyles and rituals. This takes place by the establishment of certain rules and procedures within the established culture. Of course, this new bureaucratic system is often the antithesis of what those radical pioneers fought so hard for. The movement can now settle into status quo. Neighbour’s modern-day example of this is when a senior pastor hires a small groups minister to take care of the small groups ministry. The process of moving through these levels will lead to either the success or the demise of a movement. So the question today is simple: Where are we as a movement today? If you ask some of the pioneers you will get one answer. If you ask some of those who began in the synthesis or bureaucratism stages, you will probably get quite another. What do you think? Where are we now and where are we going? Next article Want to Be a Good Leader? Start Here!